Bucks New University tackles Human Trafficking and Child Prostitution. 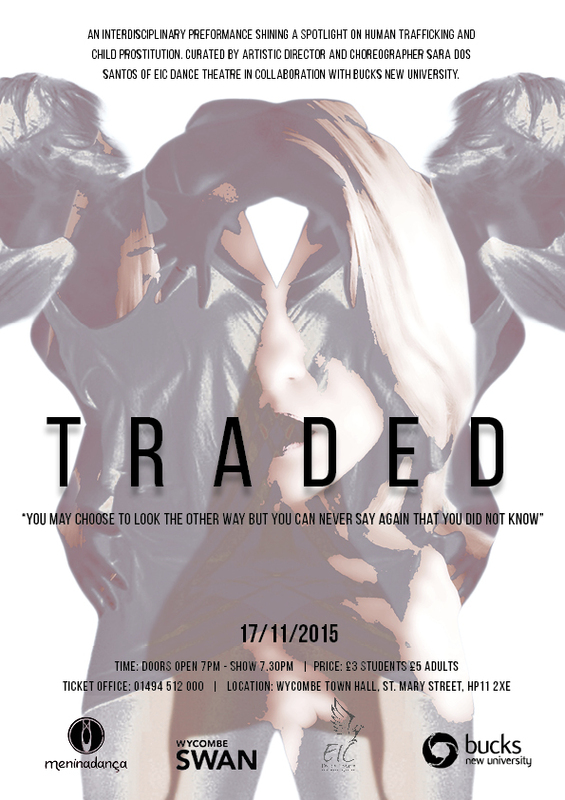 Students at Buckinghamshire New University are to take to the stage and shine a light on human trafficking and child prostitution at Wycombe Town Hall for the production TRADED. Contemporary jazz theatre company EIC Dance Theatre is working with the University’s creative students for an interdisciplinary performance on Tuesday 17 November at the Wycombe Town hall. 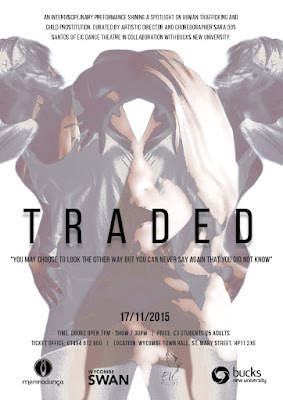 TRADED saw students and lecturers from the performing arts, dance, film and fashion courses collaborate with each other under the guidance of Sara Dos Santos to highlight this important social issue!